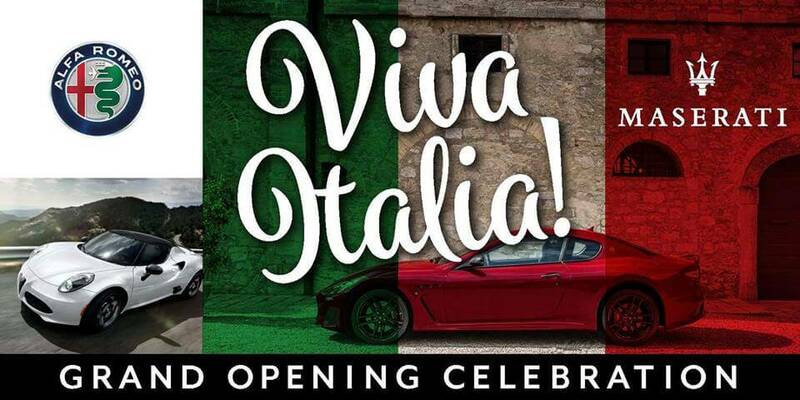 (JASPER COUNTY, SC) A “Viva Italia” grand opening celebration for the new Peacock Maserati & Alfa Romeo outlet will be held from 5:30–7:30 p.m. on Thursday, March 22, at Peacock Auto Mall. Area dignitaries have been invited to join Peacock executives for the ribbon cutting and party to officially welcome the area’s first and only signature brand Maserati luxurious car-buying experience to the Peacock Auto Mall, along with a new Alfa Romeo dealership. At the event, the public will be invited to tour the new 18,000-square-foot Maserati and Alfa Romeo dealerships and enjoy Italian food provided by SERG Restaurant Group. For additional information about or to RSVP for the grand opening celebration, please visit www.maseratialfa.eventbrite.com.